Last week I met up with the lovely Jasmin and Tricia at the Hobb's event and we used the opportunity to take some street style pics afterwards ... as you do. I was wearing my new Asos Ridley jeans, one of my favourite Zara shirts and teamed them with my new Balenciaga mini city bag (this bag has to be my best sale find to date). I love Jasmin's monochrome outfit and I need to get my hands on a pair like her amazing palazzo pants (check her blog for more outfit details: What Defines Us). Tricia from Thread & Mirror Magazine was wearing a shirt from Oasis, Jeans and heels from Tophshop and I love her Moschino belt (similar here). These photos are lovely babe... I love your outfit, and the bag is beautiful. Love all of your outfits - can't decide a favourite! 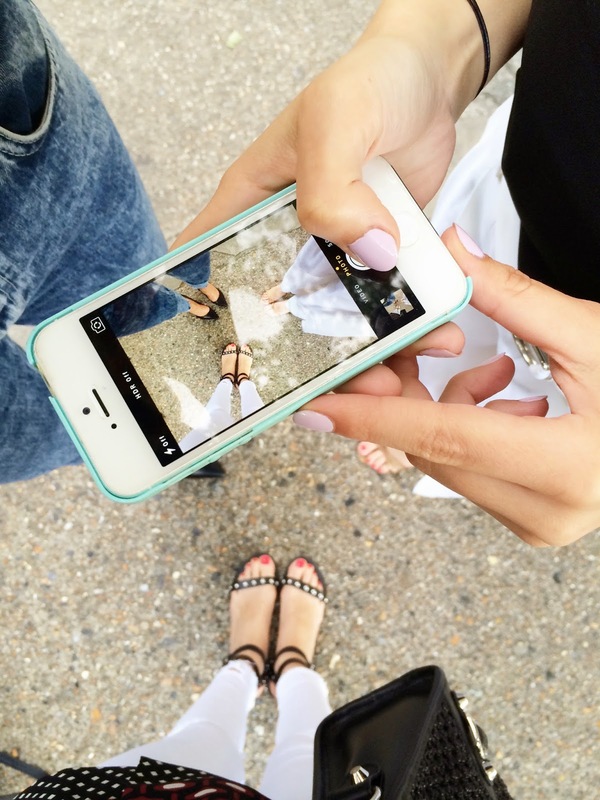 Especially digging your sandles - they're gorgeous. 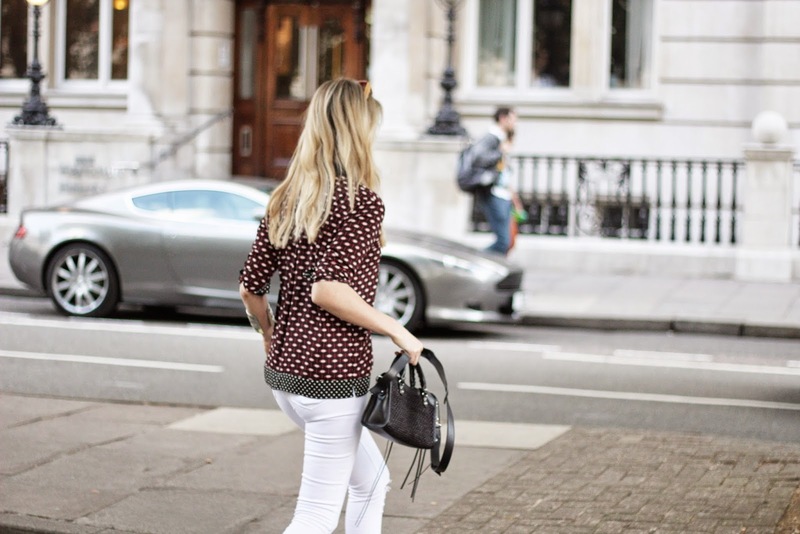 Love your dot top and perfect white skinnys. great look! I nearly bought these shoes! I wish I had now!